The Experienced Travelers are home again after a wet but wonderful trip to Brittany and Paris. We saw, we shopped, we drank and we dined. These are our ET core competencies and we exercised them with vigor. 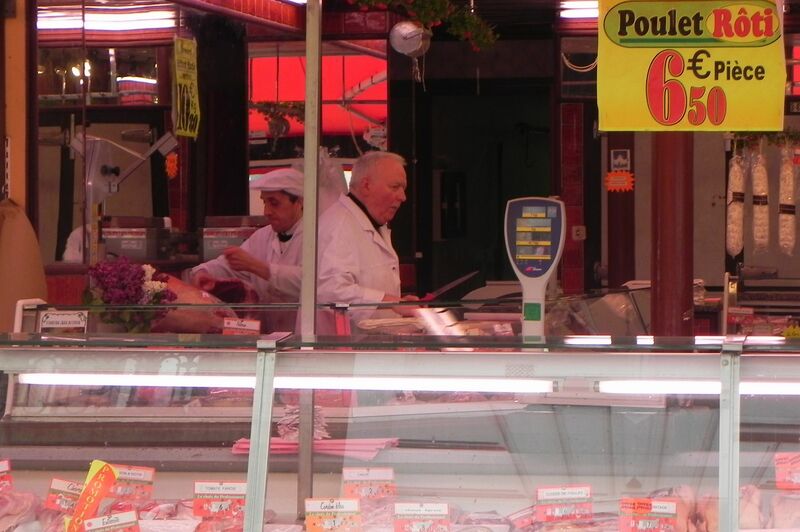 While Nurse tended to domestic affairs, I made a foray to the rue Daguerre market in Montparnasse to channel the hunger pangs of Hemingway and other Lost Generation writers. It didn’t do much for my literary acumen, but it certainly inspired my appetite. 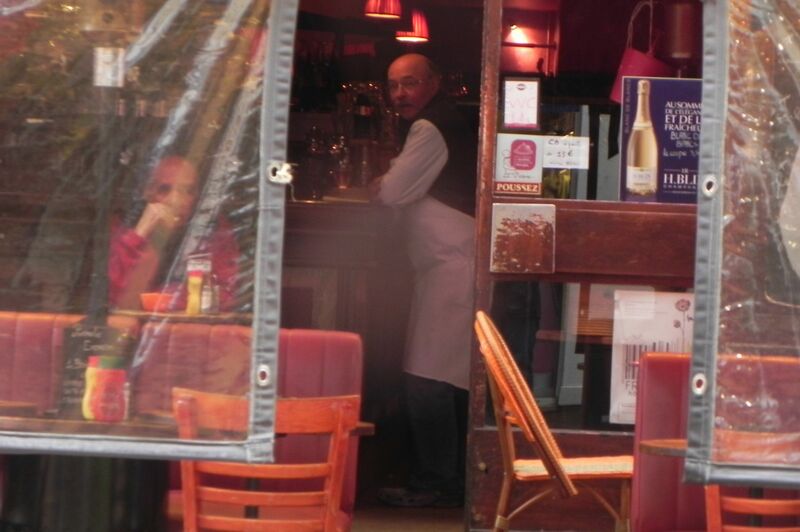 The Brasserie Chope Daguerre was an alluring way to stay dry and I know Hemingway would have stopped. Just around the corner from the Denfert-Rochereau metro stop, the rue Daguerre has real neighborhood shops, and fewer of the trendy boutiques that are squeezing out small merchants in other markets. The cobbled street and cries of the vendors make this a fun stop, even in the rain. This is a cheese plate just waiting to happen. 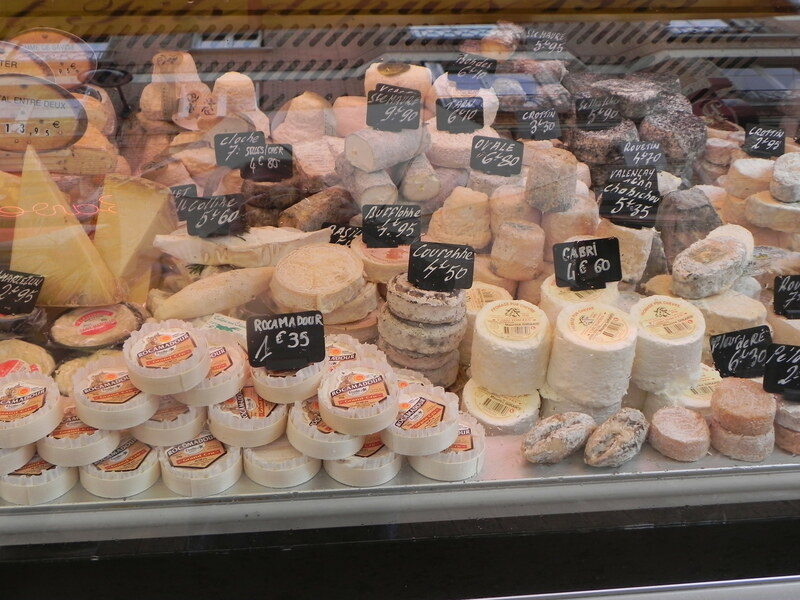 The aroma from the Fromagerie Vacroux et fils beckoned me in out of the downpour. This is a very friendly establishment with a wide selection of cheeses that would top off an ET dinner at home perfectly. 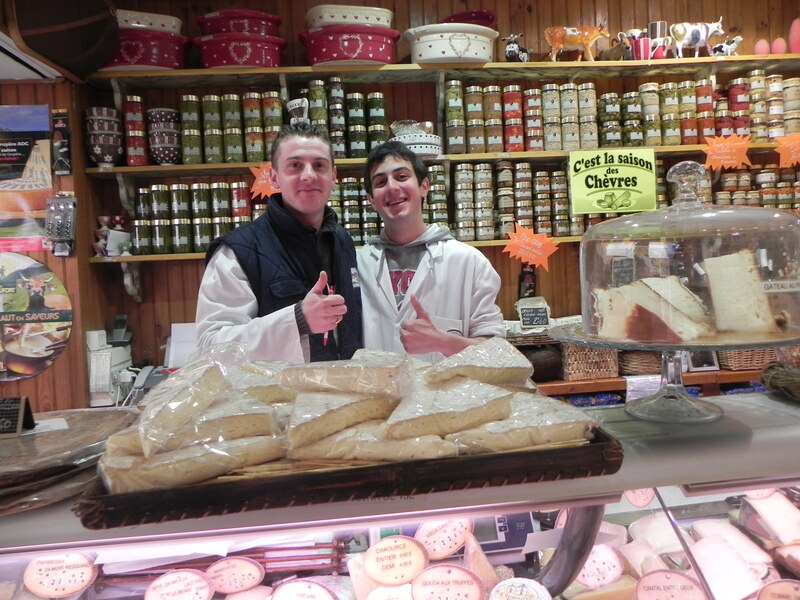 My apprenticeship as a cheese lady ended shortly after the picture was taken. I knew it wouldn’t last when they didn’t give me the white coat. Not to mention that recommending a comté or a chèvre is not among my core competencies and I know my limits, dear Readership. Pasta in all it’s forms – homemade and ready for the ETs pot of boiling water. I was lured south of the border by the homemade pasta at La Maison de la Pâte. The proprietor didn’t offer me a job here, but that didn’t stop me from browsing the mounds of ravioli, linguini and gnocchi. I came this close to phoning Nurse and telling her to put the water to boil. 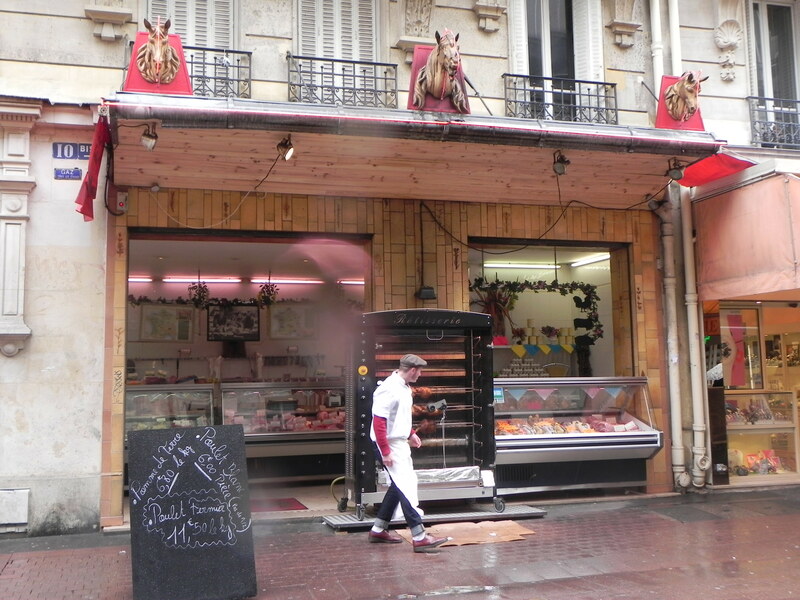 Butchers who sell horse meat advertise using handy signs, like the happy horsies above Davin Julien. While this isn’t standard fare in the US, the French, among others, do consume it. Well, I had just seen the movie “War Horse” and there was no way it was going to feature on the ET table that evening. I ate raw oysters in Brittany and that was eating adventure enough. I am, at heart, a conservative diner. So if you’re staying in the 14th arrondissement or want to spend a morning browsing a friendly market, the rue Daguerre is a recommended stop. Then you can walk a few minutes to the boulevard Montparnasse and spend the afternoon over a bottle in the spiritual company of the Lost Generation at La Rotonde or Le Dome. 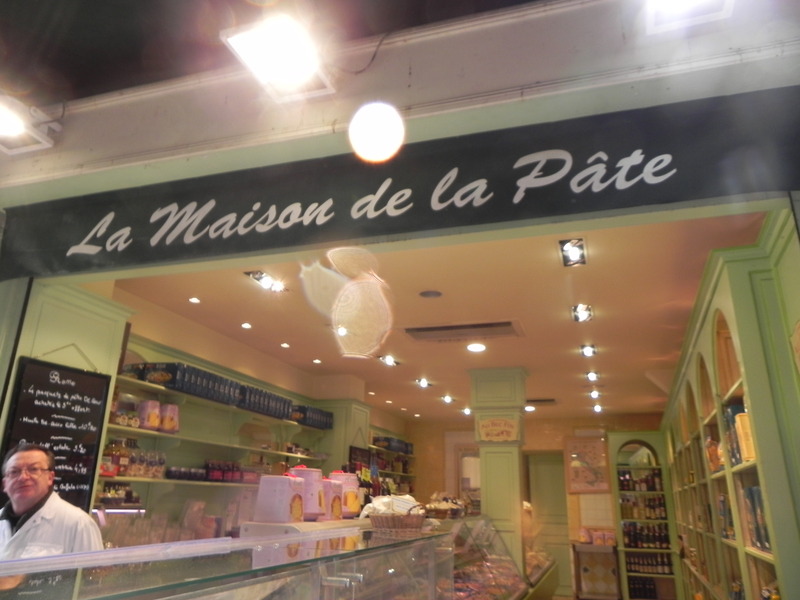 This entry was posted on May 7, 2012 at 7:09 pm and is filed under French food, Paris Neighborhoods. You can follow any responses to this entry through the RSS 2.0 feed. You can leave a response, or trackback from your own site. The food looks delightful and the cheese boys were adorable! What Fun! 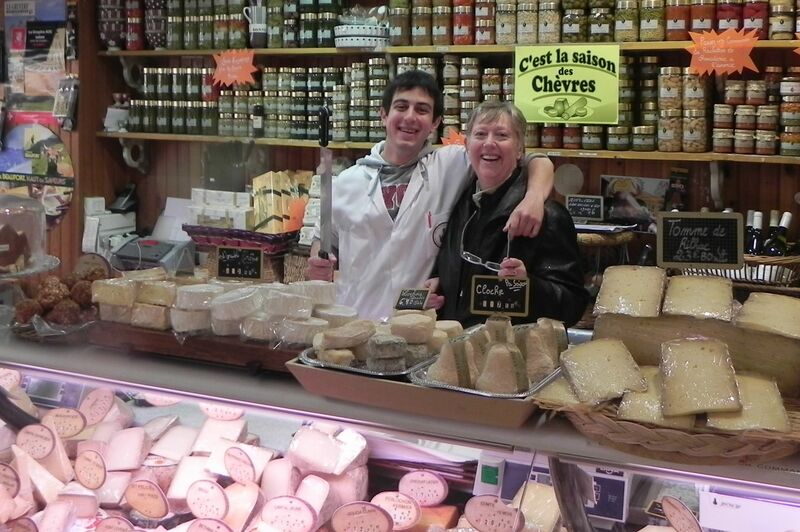 I was reading some food/travel/literary essay about cheesemakers and cheese vendors and it describe the wonderful earthy smell in the shop as being “like the feet of angels.” It tickled both my toes & my fancy. Oh Karen you should take a stroll past Cantin on the rue de Champs de Mars. The bouquet is… memorable. It’s nice to hear from you!